Super Eagles technical adviser, Genort Rohr has disclosed that he didn’t reject the apartment giving to him by the Nigeria Football Federation in Abuja. The German tacticians who won his first match in charge of the senior national team in their 1-0 win over Tanzania in a 2017 Africa Cup of Nations qualifier was reported to have rejected his new Abuja apartment last week due to security reasons. The former Gabon and Niger manager told thenff.com that he only spoke about been lost inside the apartment because of the fact that the inside was too big. “I never rejected any apartment,” he said. “I might have spoken to a few people who I believed to be genuinely interested in me, saying that the apartment was very big and I joked that I might get lost inside it when I start to live there, but I never rejected it. “When the Federation engaged me, and told me I had to live in Nigeria, I agreed to it because I believed that my base has to be in the country where I work. 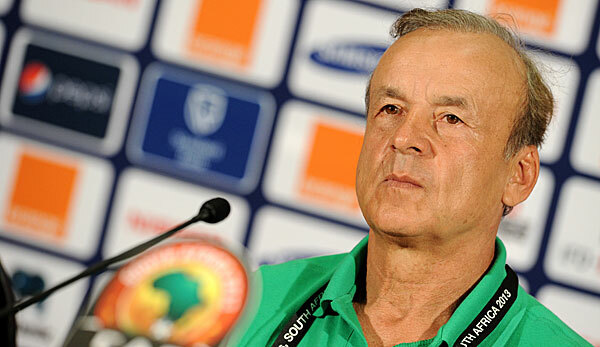 I did the same in Niger, Burkina Faso and Gabon, and I do not see it any differently in Nigeria,” Rohr added in a statement.